Regular exercise can build up your self-esteem and confidence. It will make you feel strong, energize you and make your daily life as an amputee more functional. Strength workouts that develop your core, flute, hip flexors and quads are essential if you want to become an athlete or return to being an athlete. They will help your stabilize your body, build muscle balance and improve your stride. I have complied a library of exercise video that will help you build a strong core and become a strong confident amputee. Along with these exercise it is important to also build a strong upper body. I lost my disability and got my life back in the gym. This is what makes me so passionate about fitness. Outside the gym, I enjoy multiple sports which include skiing, cycling, running and climbing. Give me a physical challenge and I will take it on. 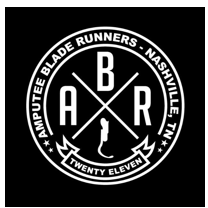 I am a finisher of the Warrior Dash, Tough Mudder and a member of the Amputee Blade Runners team. I live a “NO Limits, No Excuses” life style. I use this philosophy while training my clients. I will guide, support and push you to overcome your life challenges, so you can discover your capabilities and live a stronger, healthier more active life.